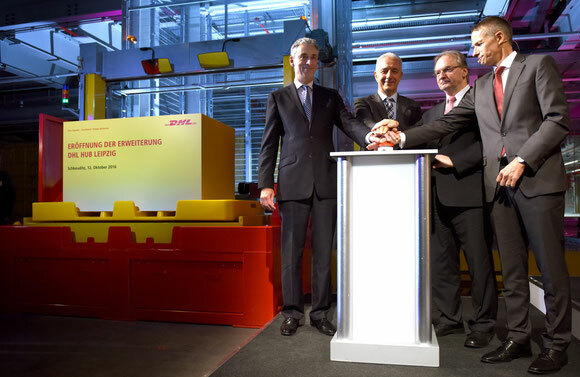 The express pillar of Deutsche Post celebrated the inauguration of a huge new sorting terminal at Leipzig -Halle Airport. 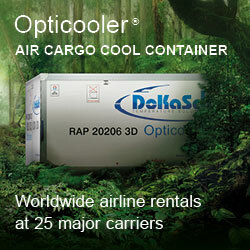 The €230 million investment ups the total processing capacity to 150,000 shipments per hour or 42 every single second. On the occasion, the integrator introduced a new conveyer technology, enabling the automated handling of items weighing up to 170 kilograms, thus stepping directly into the classic cargo airline business. The figures he and other DHL top shots presented are indeed quite stunning, fully justifying the success story. What started from scratch in 2008 has meanwhile developed into the biggest hub within the package delivery company's global network. Currently, 50 percent of the company's European flights are operated via LEJ, accounting for 16 percent of its global operations. DHL’s total investment of €655 million, including €230 for their hub enlargement, has given almost 5,000 people a job. Noteworthy is that the integrator's Leipzig engagement kicked off a pull factor, attracting other firms to set up production facilities in the surroundings of the Saxon airport, among them prominent brands like Porsche and BMW. The question was posed to Mr Appel as to whether the recent anti-foreigner campaign by local right wing elements, play a negative role for the future investment climate in Saxony. Appel commented that this is indeed a problem that has to be tackled, but one which in his view should not influence any future foreign investment. 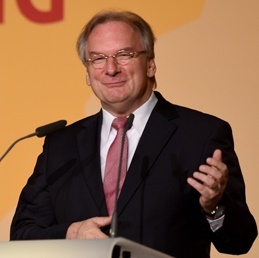 When questioned on DHL's view about the present opposition to international treaties like TTIP and CETA as well as mounting criticism on globalization in growing parts of the German population, Herr Appel said, protectionism has never led to economic success. Only global trade can ensure further development and prosperity. To fulfill its commitments to customers, all DHL Express operations are monitored real time by a Quality Control Centre which is an important source of improvements, emphasizes Michael Kluge, the Chief of Regional Network Control. The Terminal 2 new sorting centre is complemented by a third facility that's partially operational but still needs final completion. There, larger and non-standard shipments are processed that don't fit by size or weigh on ordinary conveyor belts, which are limited to handle items weighing no more than 31 kilograms. 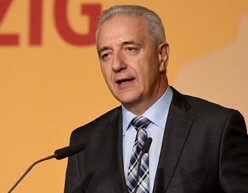 Prominent politicians also attended the event, in first place Prime Minister Stanislav Tillich of Saxony and his colleague Reiner Haseloff of Saxony-Anhalt state. In his address, Tillich praised the farsighted decision made during the last decade to pave the way for developing LEJ into a logistics hub. 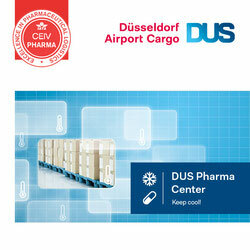 Today, it is Germany's number two in air freight throughput next to Frankfurt and ranked 19th worldwide. A development that would have been unthinkable if politicians hadn't granted the airport 24/7 operation. This implies some burden for the neighbors but positive factors like the economic upswing and the many jobs that result thereby predominate, he said. Saxony-Anhalt's Mr Haseloff added to this that one third of all DHL staff at LEJ live in his state. He assured Deutsche Post Chief Frank Appel the continuous support of his government concerning the firm's future LEJ commitment. “We look forward for celebrating the next enlargement of your facility,” he exclaimed. Sufficient place would be there, a big differentiator to most space restricted other German airports. Owner of Leipzig-Halle Airport is the Mitteldeutsche Airport Holding of whom the states of Saxony (77.29%) and Saxony-Anhalt (18.54%) are the largest shareholders.